The Google Android operating system that gets shipped on many a mobile device from a range of manufacturers is safe to use without antivirus, provided you don’t have root access. Root access on Android is the same as being in control of the administrator’s account. Like with all operating systems, it’s only when you use the administrator account that installing malware or a common virus is a problem because that’s when it can make changes to the system with all those extra permissions it’s been granted. Without access to the root file system though a malware application won’t be able to do any damage because it’ll still be imprisoned inside its own app sandbox and unable to move out of it. This is why Google Android only want you to install official software updates from signed zip files that come directly from them via your manufacturer and carrier network. But what also should be understood by the average user is that Google Android is based on the Android Open Source Project. It’s the same kernel that is then adapted. Since it’s the same kernel, developers can play around with the AOSP code and create new custom software which can then run on your device. These bits of custom software are commonly referred to as custom ROMs. Custom ROMs are the main focal point of custom recoveries. Because you can’t actually install custom software from a stock recovery environment, it requires a custom recovery for you to be able to get them installed. Technically you could also do it with root access via a root application if you wanted, but a custom recovery is the only way to flash these unsigned zip files yourself, which is why they also prove useful for getting root access as well: it’s the only way to get root access if you want to do the flashing yourself without relying on a one-click rooting tool to modify the recovery image to allow for the flashing for you. 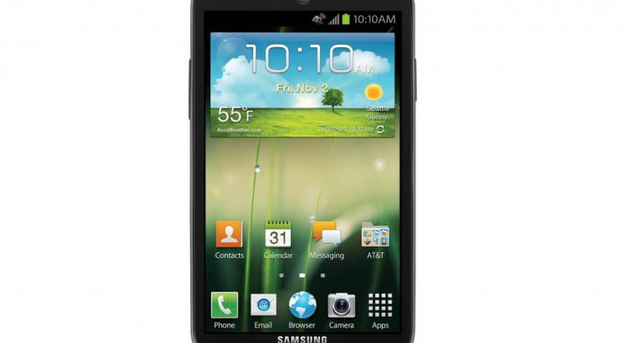 The custom recovery images available in this guide are only to be installed on the Samsung Galaxy Express smartphone. Most devices have a custom recovery image developed specifically for it, and you shouldn’t install one that is intended for another device unless advised it is okay by a professional. The codename for the Samsung Galaxy Express TWRP Recovery image is “expressltexx.” You will see that codename in the TWRP image file path and also from your About Device menu so you know you are flashing the right file on the right device. You can install the official TWRP Recovery application from the Google Play Store or from the TWRP website as an apk, if you have root access on the device already, and get the TWRP installed that way, no adb required. Once the app is installed, it will be in your Downloads folder. Navigate to the Downloads folder and select the TWRP application. When the application opens tap on the option for flashing the TWRP. Download on your computer the latest version of TWRP Recovery: Primary (Americas) | Primary (Europe). 1. Firstly, you need to know that the Odin flashing tool is really easy to use, but it only works on the Windows operating system. You won’t get the flashing tool to load on a Mac or Linux computer. It doesn’t really matter what version of the Windows operating system that you’re using as long as it is something above Windows XP. 2. Download and install the Samsung USB drivers on the computer if you don’t have them already. 3. Download the stock ROM from the links above directly to the computer. Extract the file by right-clicking on it and choosing the option to extract. When you do, you’ll see the tar.md5 file inside. That’s the file you’ll be using to do the flashing. 4. Download the Odin flashing tool. It doesn’t really matter what version, but the latest is the most up to date so grab that one. Extract the Odin file and then double-click on the Odin executable file (.exe) that is found from within the Odin folder after extraction. You should now have the Odin interface open on the computer and waiting for you to connect to it. 5. Boot the Samsung mobile device into the Download Mode by first powering it down and then rebooting by holding the “Volume Down + Home + Power” keys at the same time. 6. A yellow warning triangle will come up on the device’s display. At this time you need to press the “Volume Up” button. You’ll then see the device getting into the Download Mode. It’s then ready for the flashing. 7. When in Download Mode, connect the Samsung mobile device to the computer with the USB cable. 9. After the device is picked up by Odin, click on the “PDA” or “AP” button, depending on what button your version of the Odin flashing tool has. 10. Navigate to the stock ROM folder and upload the tar.md5 file to this location in Odin. 11. Without changing any of the default settings, click on the “Start” button in Odin, and the flashing then begins. 12. Wait until Odin shows a “Pass” message before disconnecting your device. If you decided to download the TWRP application from the Google Play Store or the APK file from the official TWRP website, then after you open the application you will be given a few different options to choose from. But before even going that far, it’s important to note that you should only install the TWRP APK file from the official TWRP website. If you’re installing it from Git, or any other file hosting website, it might not be the official version, and thus, it won’t have been built or tested by the official TWRP developers and maintainers. Once the application is open, you’ll need to agree to not hold anyone from TWRP responsible for any issues that your device may face while using the application. This is a standard disclaimer that Team Win puts on top of each of the recovery image files from the official website as well, so it’s nothing new. It just explains that it is your decision to put the custom recovery on your device, and while they work hard to provide a quality product, there are no guarantees that your device isn’t susceptible to damages relating to TWRP while the custom recovery is installed. You can grant the application root permissions now as well. Root access can be obtained by flashing SuperSU, or other appropriate rooting files, from the custom recovery itself. Without root, you won’t have access to some of the app’s features, such as image flashing. It’s here also where you can enable InsightCore (a feature to monitor and record the network performance of your device). Once you’ve accepted the agreements, you’ll see the TWRP application’s home screen, where you can choose to flash TWRP or view the network statistics. When choosing to flash the custom recovery, you’ll need to scroll and select your device from the list to make sure you are flashing the correct file. When the device is chosen, the TWRP application automatically then searches for the latest version of the TWRP for that device and will continue doing so every day for as long as the app is installed. This interval can also be altered from the Settings in the top right-hand corner of the device’s display when the apps open. If root access has been enabled, you’ll see the chance to select the custom recovery image and the buttons for flashing the images to boot or from recovery. You should choose to flash the images to recovery. Only use the boot image flashing when you are flashing full boot images, not just kernel zimages. You can subscribe to our RSS, follow us on Twitter or like our Facebook page to keep on consuming more tech.